Log In Required NECF 2012 Attendees will need to log into the GEO website for access to the PDF presentations. After log in, if you were a 2012 NECF Attendee and the PDF links do not appear below, please contact Michele Holly at michele.holly@globalequity.org. 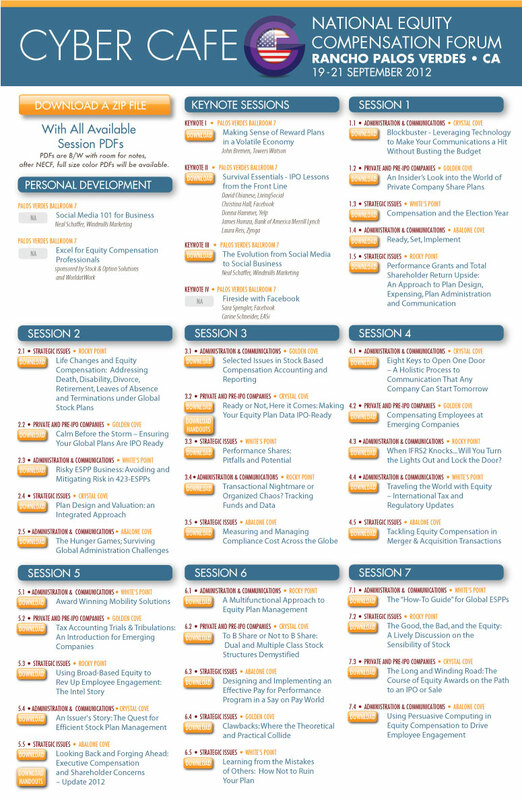 Only attendees of the 2012 NECF has full access to PDF file of the presentations.